The Summer Pastels Yarrow is great for mass plantings, borders, naturalized areas, and cottage gardens. 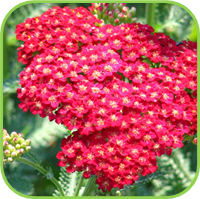 Yarrow can tolerate poor soil conditions, but does well in dry to medium wet, well-drained soil. 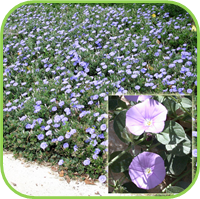 Attracts butterflies and good for cut flowers and dried flowers. Compact, bushy perennial with continuous flowering from spring to autumn. Frost tolerant. H:30cm, S:30cm. A dwarf angelonia. They deliver easy, self-cleaning, low maintenance colour for massing in the landscape, lining the front of beds and borders, and creating colorful containers. H:30cm, S:20cm. 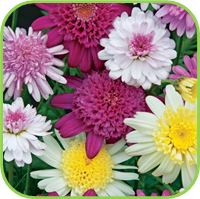 Small compact daisy bush with dark green leaves and very showy flowers makes it a wonderful addition to the garden. H:30cm, S:30cm. 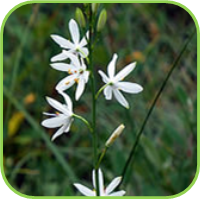 An abundantly flowering perennial with either white, pink or blue flowers. 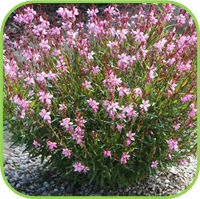 Excellent for border planting and ideal container plants. 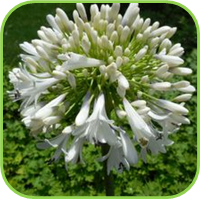 A wonderful shade garden plant, because of its low height (50cm max) it makes a wonderful border plant. Bergenia likes filtered sun and will flower through out the season. 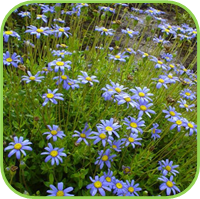 This perennial is an excellent addition to any garden. 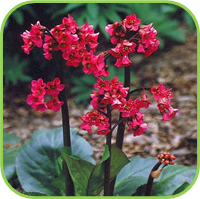 Bergenia Cordifolia is also know as Elephant’s ear and Pigsqueak. 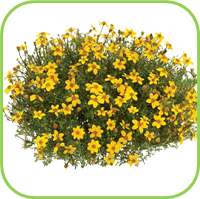 Bright gold flowers all year round with compact and neat growth habit. 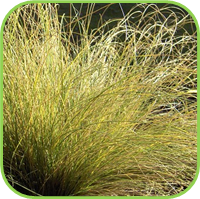 It is low maintenance, once established, being heat and drought tolerant. No dead heading required. Ideal as edging for flower beds, in containers and hanging baskets. 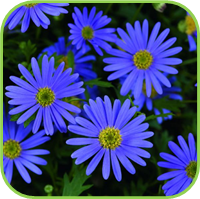 Early and abundant large blue-violet flowers with bright yellow centres and dark green cut-leaved foliage. 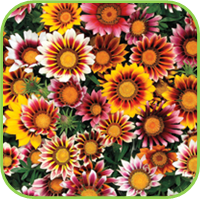 Flowers right through the year and can tolerate low temperatures. 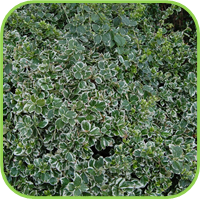 Small, silver foliaged, frost hardy perennial evergreen shrub with yellow flowers in early Summer and late Spring. It grows well in direct sun, and prefers medium levels of water. It has average drought tolerance. This shrub has all year round interest. 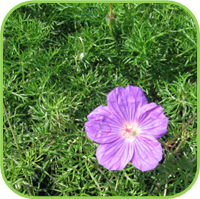 Ideal for containers, hanging baskets and where foliar interest or contrast is needed. 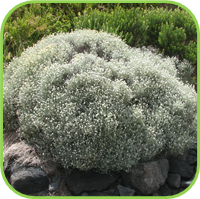 dense, bushy to rounded, evergreen shrub with branched, downy stems, scale-like, sliver-grey leaves and small, rounded, terminal clusters of creamy-white to pale yellow, rarely purple, flowerheads in summer.dense, bushy to rounded, evergreen shrub with branched, downy stems, scale-like, sliver-grey leaves and small, rounded, terminal clusters of creamy-white to pale yellow, rarely purple, flowerheads in summer. H 40cm, S 30cm. 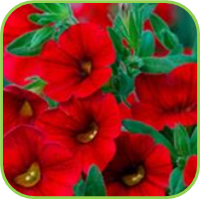 Compact, spreading perennial with small, petunia like flowers from spring to autumn. 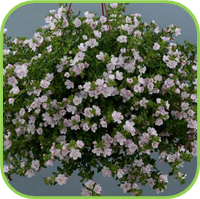 Ideal for mass planting and hanging baskets. H:15cm, S:20cm. A beautiful grass with an intriguing appearance. 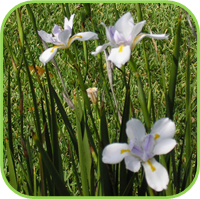 The delicate blades are silver-green and curl back towards the ends, making the plant resemble a grass fountain. Mature size about 60 x 45 cm. 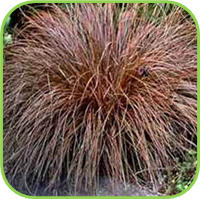 Without doubt a favourite, especially if you want dramatic bronze colour year round in the garden. Hardy. Mature size about 40 x 50 cm. Impact with foliage. 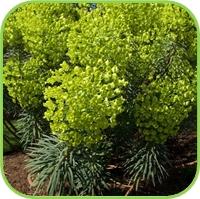 The entire plant glows with colour, from soft and elegant to deep, bold tones—perfect for shady areas in the garden and patios. Excellent weather tolerance. Use in containers and garden beds. 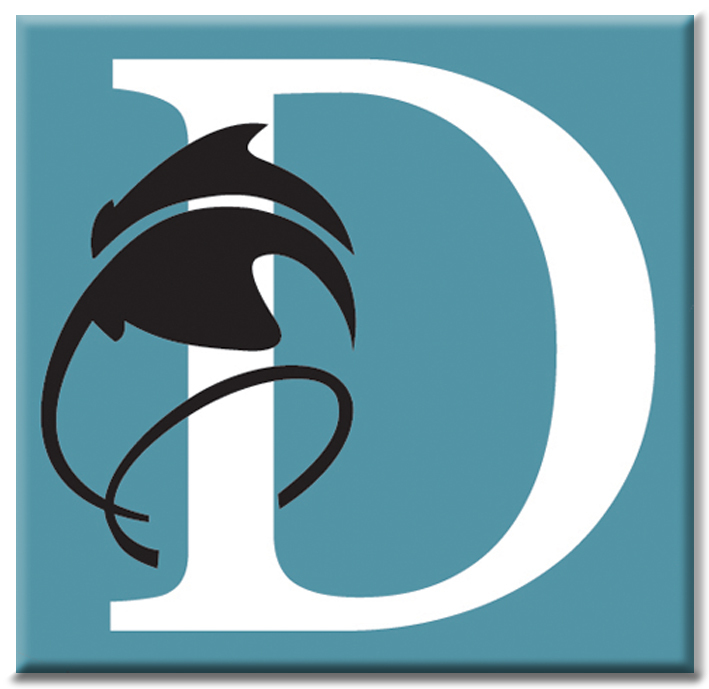 Description: refer to Indigenous section. 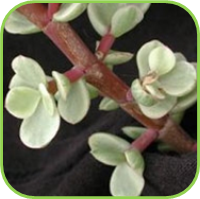 Light pruning will encourage flushes of radiant new growth. 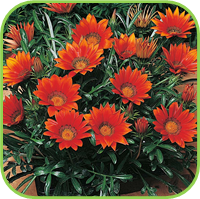 It performs best in a bright sunny position and enjoys regular watering. 3L bag 17 cm pot. 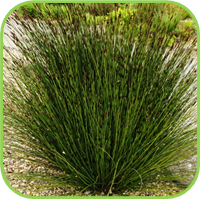 Hardy, clump-forming plant with long narrow sword shaped foliage. Ideal for landscaping. 3L bag. 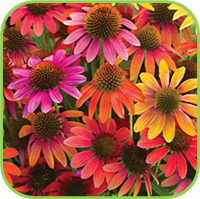 This stunning first – year flowering Echinacea captures the spirit of the North American plains by producing a delightful mix of flower colours from rich purple, pink red and orange tones to lighter yellows, creams and white. 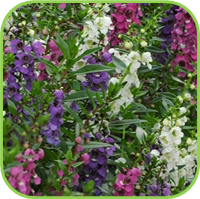 This wide range of flower colours on well branched, durable plants are sure to please the colour preferences of any gardener. 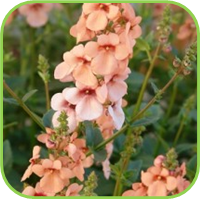 As an added bonus, ‘Cheyenne spirit’ does not require a lot of water and offers a wide range of uses from the perennial border, in a mass landscape planting, in a butterfly garden or as a cut flower. H:40cm (flower) S:30cm. 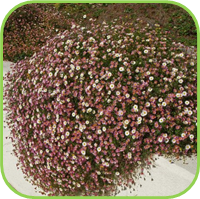 Low growing ground cover with masses of small pink-white daisy flowers all year. Can be cut back to maintain neatness. 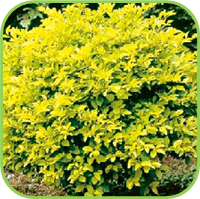 A slow growing, hardy shrub with golden foliage. 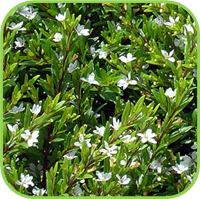 Ideal for low hedges around flower beds or shaped for topiary due to its slow growth. A low maintenance plant and ideal for containers. Description : refer to Exotic section. 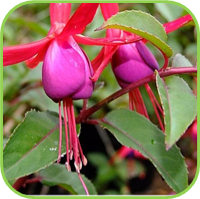 A wide range of upright, semi-trailing and trailing Fuchsias that will give year round colour and splendour. 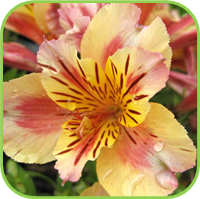 Ideal for mixed containers and hanging baskets. A clump-forming plant with long flower spikes opening to butterfly shaped flowers all year round. 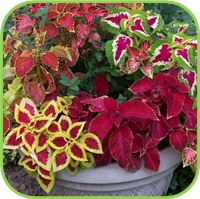 Belleza pink has attractive, deep red foliage. Drought tolerant and hardy. 3L bag . Trailing grey foliage, single yellow flowers. 3L bag.